King Rastakhan: I see their purpose now. They tryin’ to sacrifice Rezan. To feed on his power. 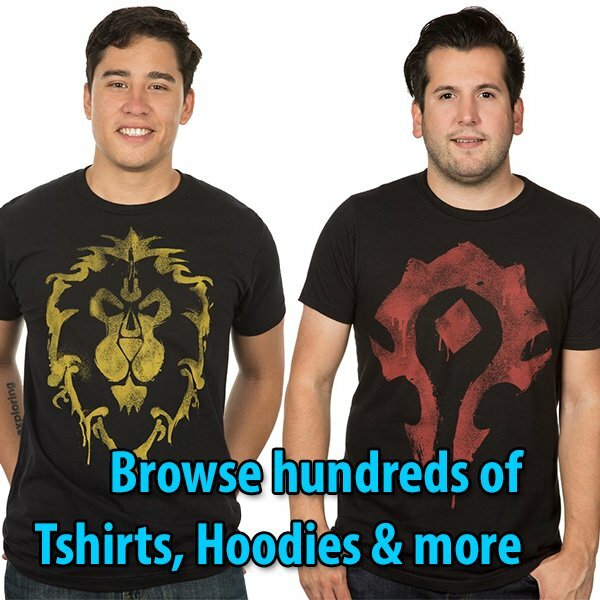 Not since the war with the Lich King has any troll dared to slay a loa. It be a dark practice. 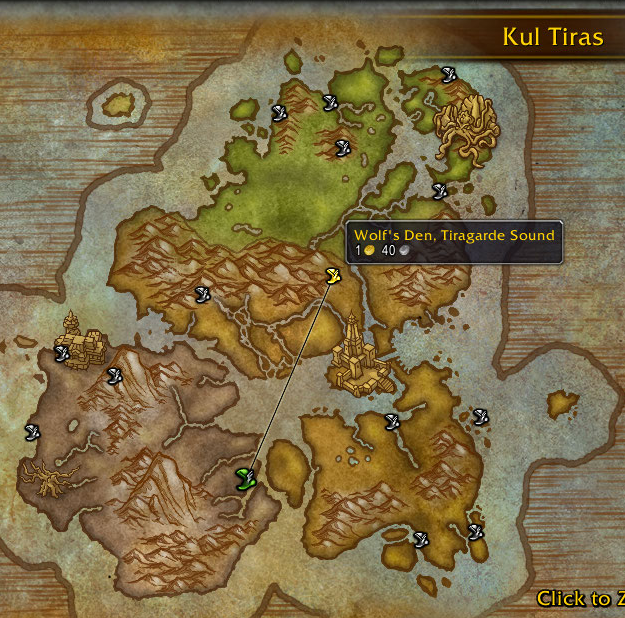 It not be the Zandalari way. Kill them! Quickly, before they can complete their ritual. 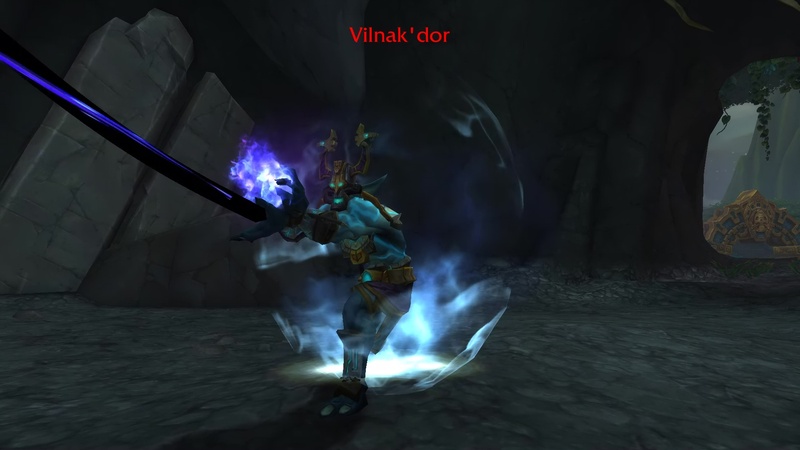 Slay Vilnak’dor and stop the Loa Sacrifice Ritual. 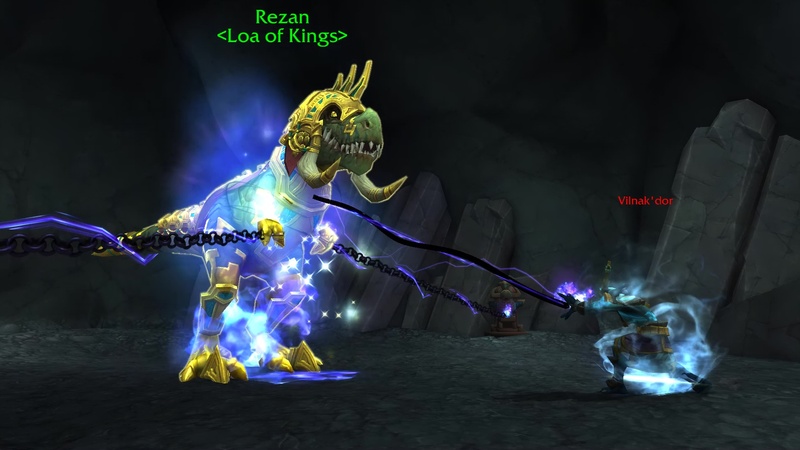 TIP: Rezan is held captive at the top of the Throne of Rezan. 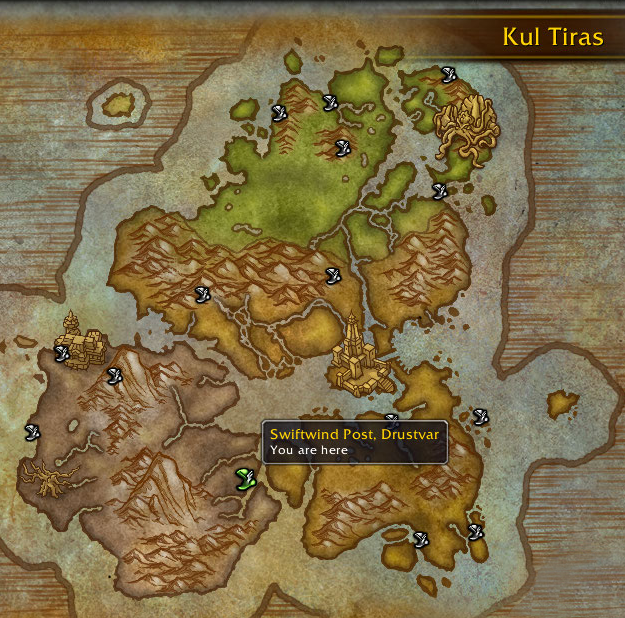 After killing Vilnak’dor, follow King Rastakhan to the Scaletrader Post. King Rastakhan: He will regret dis heresy! Di chuka Rezan! 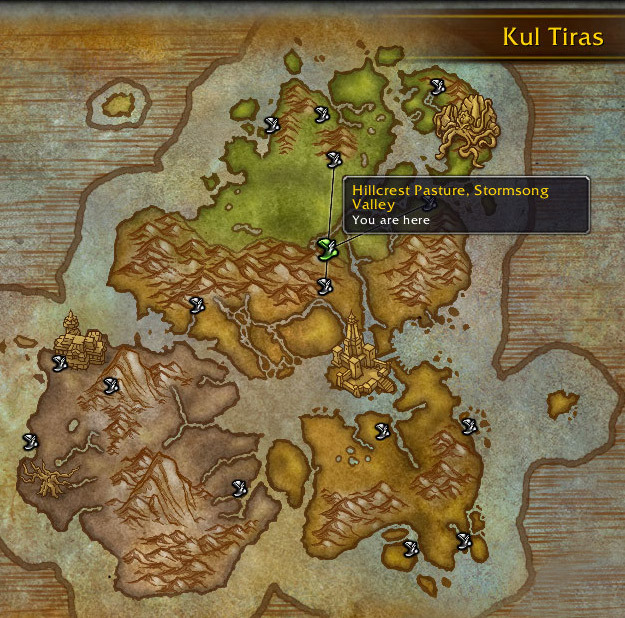 Vilnak’dor: Zul foretold your coming. All proceeds as he predicted. 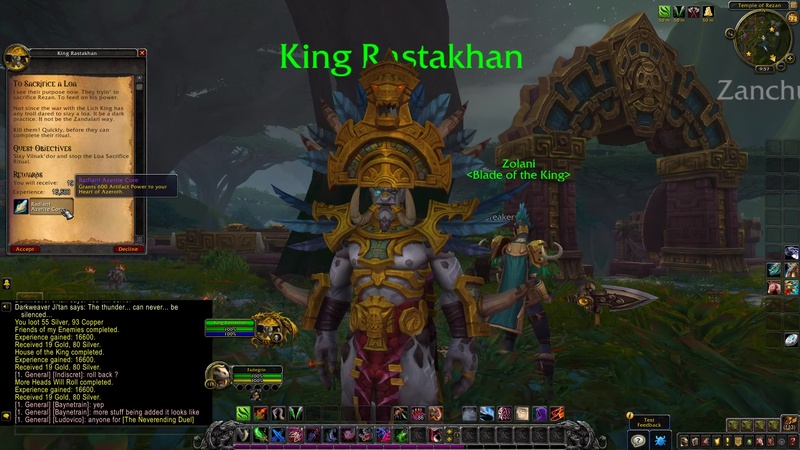 King Rastakhan: De fiend hides behind Rezan’s power! I will steal it back from him! King Rastakhan: You are weak without de loa! Finish him! King Rastakhan: Great one, you still be breathing? Let me release you from these chains. King Rastakhan: Zul’s powers will not allow Rezan to escape his fate so easily. We will need to fight our way out of here. Are you ready? Rezan: Come, little King. Let us bring ruin upon these heretics! 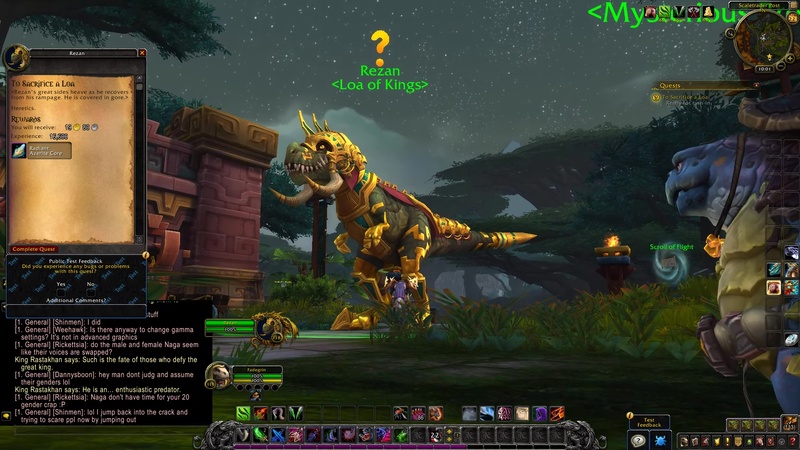 King Rastakhan: Yes! 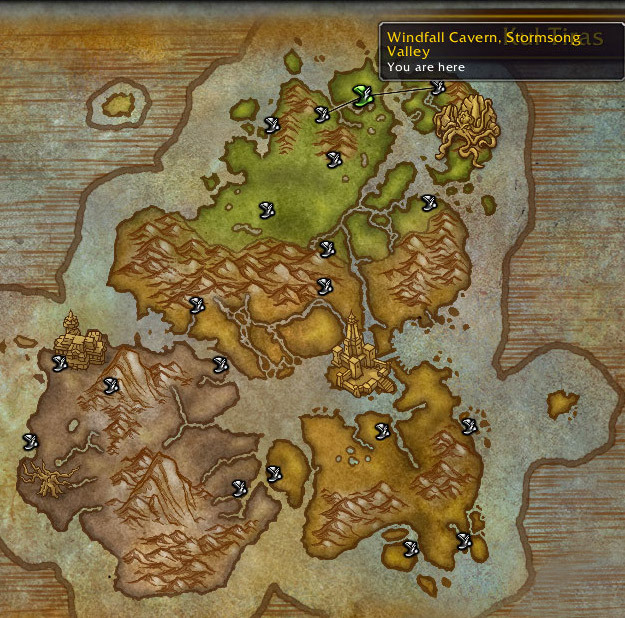 Rezan be teaching them to respect a loa’s might. Come and see! Such is the fate of those who defy the great king. He is an… enthusiastic predator. 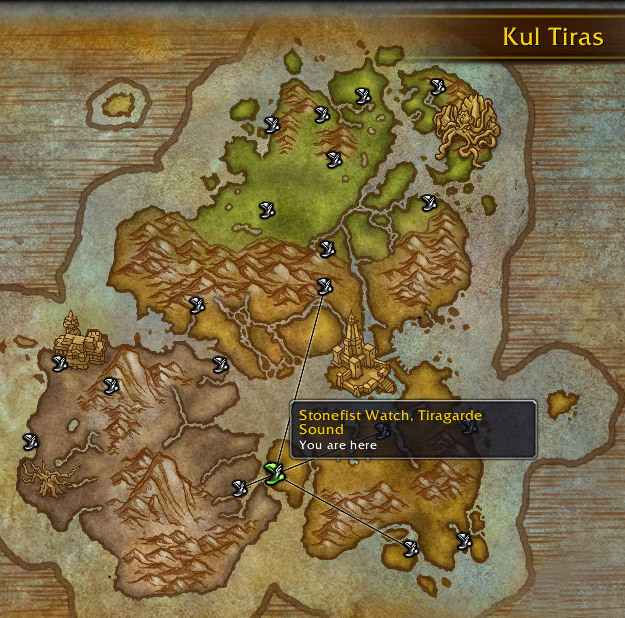 Rezan: Rastakhan, your enemies test your borders. Your council challenges your authority. Your friends try to take your life. There is blood in the waters now. It is time to ask yourself… are you king, or are you prey? King Rastakhan: I have grown soft. Many have tried to warn me, my own daughter among them, but I did not listen. 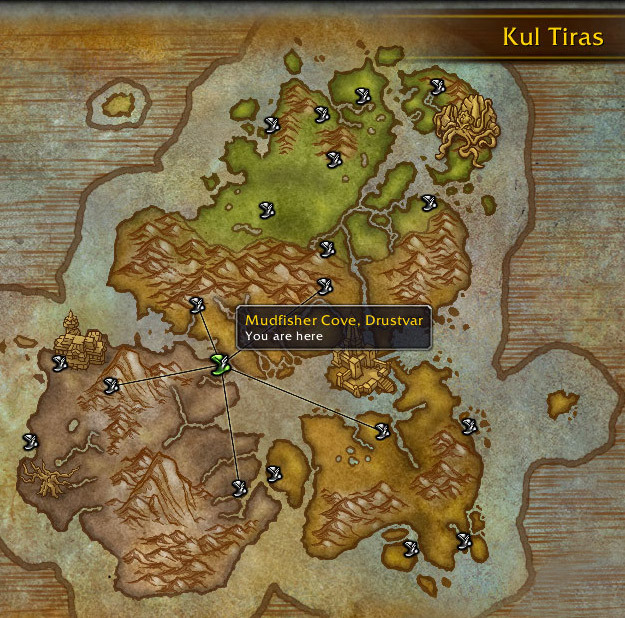 But I swear to you, and to this champion of the Horde here, that I will not rest until I have Zul’s head.